Having some extra cash laying around is a great thing! Whether you need to raise money to pay off debt or just want some extra money, I’ve put together a list of different ways to earn extra money. 1. Drop Shipping: Make a niche website that specializes in a type of product and list those products for sale on your website. When a customer purchases a product, you’ll then go to the wholesaler site and order that product with the money the customer gave you. You’re essentially acting as a middle man since you’re selling products for a premium on your website and then ordering them for a discount from the wholesaler. 2. Deliver Pizza’s: Not the most glorious job, but you can make some pretty good income doing this one or two nights a week. 3. Be a Golf Caddie: Caddying a few nights and weekends a month is a great way to supplement your income. 4. Create Websites: Create simple websites for clients using CMS systems like Joomla, WordPress, OpenCart, and Magento to set up the sites and purchase premium templates for clients. CMS’s are simple to learn and setting one up for a client can take less than a day. You can advertise for free on classified sites and charge between $300 to $1,000 to set up a site. You can charge more if they ask for hosting, SEO, and support. 5. Facebook and Twitter Admin: Be an admin for Facebook pages and Twitter accounts and put some extra bucks in your pocket. 6. Amazon Mechanical Turk: Pick individual tasks to work on. You can work from home, create your own work hours, and get paid. 7. Host Foreign Exchange Students: Make around $500 a month doing this. 8. Take Surveys: On some sites you can earn up to $300 a month just by filling out surveys. 9. Donate Plasma: Make between $250 and $350 a month donating plasma 2 times a week. 10. Mow Lawns: Go around your neighborhood and let neighbors know that you’ll cut their lawn for only $30. You’ll be surprised at how many clients you pick up. 11. Find Free Stuff on Craigslist and Sell Them: Browse the “want to buy” section and find those items in the “free” section. 12. Babysit: If you’re lucky it will be easy and the children will nap half the time. 13. Miscellaneous Jobs: Check out Craigslist in the odd jobs section to find oddball jobs you could do to make extra money. Help people move, do yard work, build something, etc. 14. Tutor Kids: Charge between $20 and $50 an hour to tutor kids depending on the type of content, client, and other factors. 15. Dumpster Diving on College Campuses: On move-out day check out the local dorm dumpsters, you’ll find a bunch of stuff students throw away that can easily be sold at a garage sale. 16. 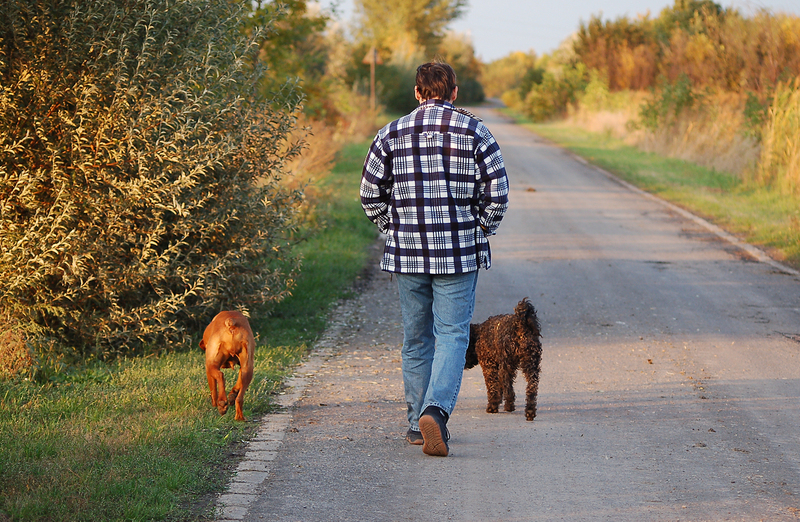 Walk Dogs: Take dogs on a one-hour walk five days a week and charge around $20 per dog, per walk.